MENSWEAR 8 - accessories; shirts to go with kilts. See next page for clan crest keyrings. We have ghillie brogue shoes for sale in most sizes. Sporrans, belts and belt buckles come and go - ask! Ties $5, with unobtrusive holes: Buchanan, Earl of St Andrews, Fraser red, Gillies, MacBeth modern, MacAlister, MacLean of Duart, Scott. Intact ties $10 MacGregor, MacKinnon, MacLaren, MacPherson, Marshall, Wallace. 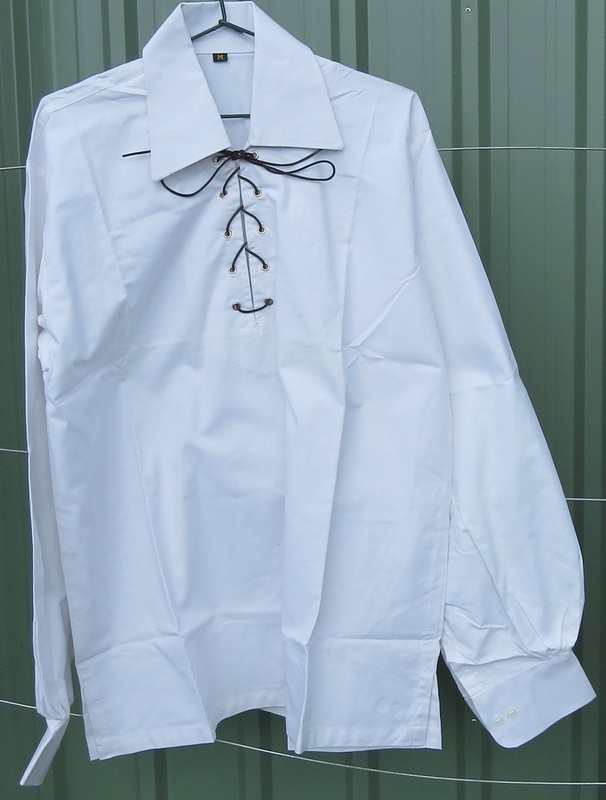 Jsc7 Victorian-style wing-collar shirt (new). Various adult's and boy's sizes available. Rental $15. 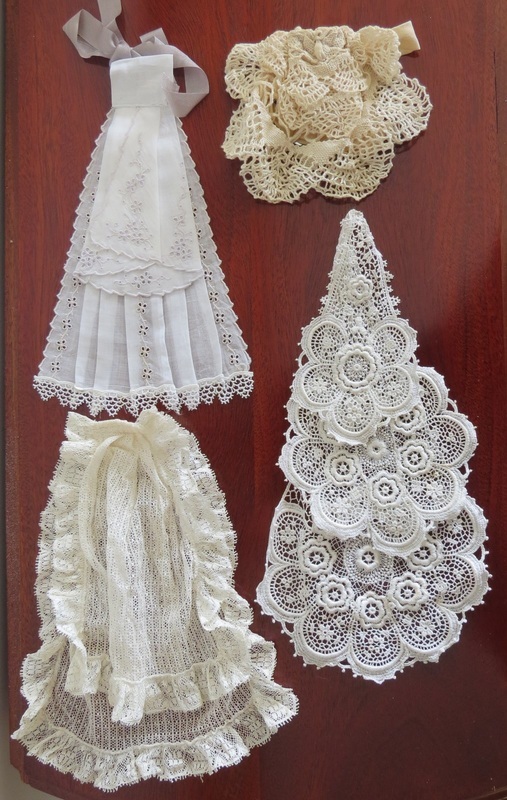 Above, original Edwardian jabots to go with Montrose jackets. 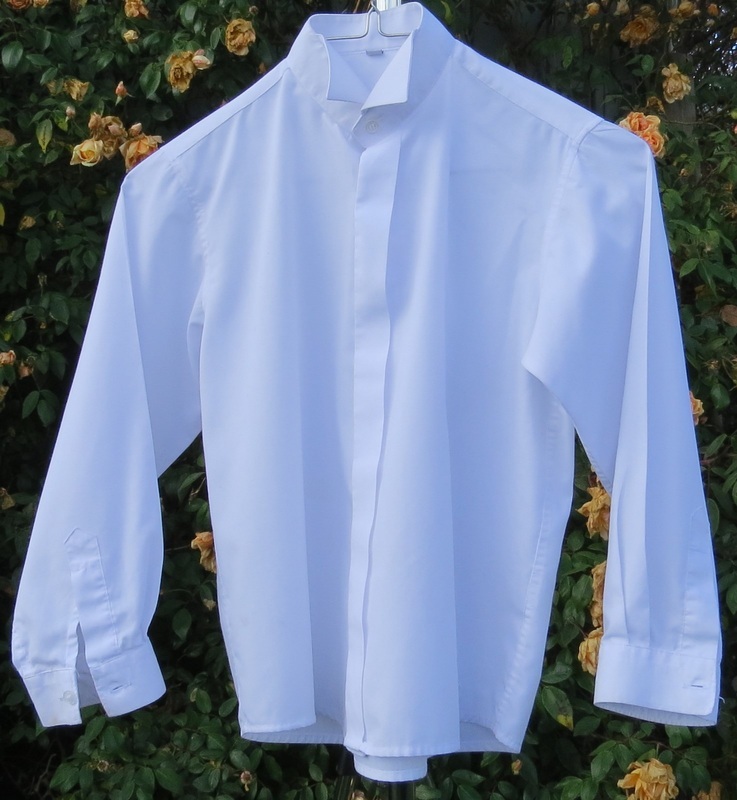 Left, Victorian-style wing-collar shirt, with silver ruche tie. Ivory ruche tie also available. Jsc8 Jacobite / ghillie / pirate shirt, summer weight. White cotton: two size M, one size S, plus boys' sizes. New. Also available in olive green, poly-cotton, nice feel. Generous size M (chest 120cm, meant to be worn loose, length shoulder to hem 183cm). Rental $15.